Maldives and China haven’t had much to do with each other in much of their modern histories. In fact, so negligible have bilateral relations been that it is very likely Maldives is the only country in the world without a Chinese takeaway run by a Chinese cook. Things have taken a dramatic turn in the last few days, though, with Maldivian legislators finding a sudden, until now undeclared, love of China, and all things Chinese. This sudden armour stems not from a particular change in Chinese policy towards the Maldives, or from the exponential growth in number of Chinese tourists visiting the Maldives. No, like many passions declared intensely by coup-supporters, it seems to stem from hatred of the other: in this case ‘the West’ in general and the Commonwealth in particular. At the end of April, Dhivehi Qaumee Party (DQP) MP Riyaz Rasheed proposed to the Majlis a bill to withdraw from the Commonwealth. Introducing the Bill to Majlis, Rasheed said Commonwealth had gone beyond its own mandate and policies in calling for early elections in the Maldives. MP Ilham Ahmed from the Progressive Party of Maldives (PPM), yes Progressive, expressed his full support. I call upon President Mohamed Waheed Hassan Manik to do everything he can to leave the Commonwealth. What did the Commonwealth ever do for us? Where is the building that Commonwealth built for us? China is a good country. They help us a lot. They have built schools here. China has been helping Maldivian citizens. And Chinese vegetables are great. And so are are Chinese fruits. Chinese hotels are being built across the world even as we speak. We love the Chinese people very much. 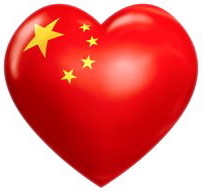 China is a country that Maldivian people love very much. China also has a lot of land. And China even has a sustainable economy. Therefore, I use this moment to declare the Maldivian people’s love for China. I do not believe that CMAG has any right to call for early elections in this country. ..
850 years of our history proves we are not the type of people who would sell our sovereignty. We do not have to obey CMAG or any others. What we have to follow are our religion and our Constitution. We do not have to follow someone who has sold our religion and is trying to destroy it. Shame nobody seems to have told them about the relationship between China, Communism and God. Opium of the masses and all that. Then the duo went on talk shows to promote their ‘Bill’ . Chinese fried rice tastes great, all types of rice in China taste great, Chinese vegetables taste great, Chinese clothes are beautiful, China has land, China has milk, China has everything Maldivian citizens want. Quite clearly neither man has a clue about China. If they were briefed prior to submitting their bill in the parliament, the dossier contained only a collection of stereotypes. They are as knowledgeable about China as Sarah Palin was about Russia. They seem to know nothing about China’s foreign policy, nothing of China’s policies in Africa, nothing of China’s uneasy relationship with human rights and the values of democracy. But then again, it is also possible that the newfound affection for China arises not simply from ignorance, but is a calculated move proposed by businessmen and some resort owners and Islamists. We all know Maldivian MPs often push legislation into the Majlis if the right amount of money exchanges hands. In a coup where autocrats, resort owners and Islamists colluded, it is quite possible that this new love of China is a way to keep the money coming even after the authoritarian reversal is completed, and even if the State becomes Islamic. Given China’s relationship with democracy and human rights, what better country would there be to fall in love with in the time of an authoritarian reversal than China? I hang my head in shame…(ladhu ganey)….who are these people?